Growing old is an inevitable state, no matter who you are. However, there are several ways to alleviate the physical pains of getting older. Loss of muscle strength and general physical strength leads to overall body weakness, and older people are encouraged to be active even when hands and feet hurt, as the activities have been shown to make things better. Zumba, dance, and stress ball exercises are emphasized by most trainers and health practitioners. The latter is highly encouraged because of the following benefits. Even at an advanced age, seniors will be able to squeeze a soft stress ball. By tightening your fist around the ball, you get to stretch the flexor, abductor, and the muscles are stretched and activated as they tense up. When the stress ball is released, all these muscles relax, and tension is released in the process. Any pressure built-up over the years, especially if one led an inactive life, is released and you will begin to feel better. If you are experiencing tingling sensations, pain, weakness, and numbness in your hands and forearms, then a stress ball with a string for added security, is the solution. These are characteristics of Carpal Tunnel Syndrome, which is manageable through simple hand and wrist exercises. The median nerve is stimulated by pressing the ball. The nerves are connected to your brain, the CNS, meaning that stimulation of the nerves at the extremities sends these activation impulses to the brain improving mobility. Stress balls are effective in lowering the risk associated with pressure injuries, which for instance, tones muscles. People often assume that exercises increase the volume of muscles directly. What happens is that the activities enhance movement in muscles that result in the production of more nuclei. More muscle cells lead to better and bigger muscles seen through the toned muscles. Your susceptibility to injuries is decreased with the exercises. There is also improved wrist strength when the ball is squeezed as well as finger strength through stress ball pinching activities. Twisting exercises have been shown to enhance the hand's strength. Because of these benefits on muscles and healing, the stress balls are used for physical therapy. The importance of exercises in improving blood circulation is mentioned in several articles. This is because of the correlation of blood flow and physical activity with good health. Active brains and muscles result from exercises that increase blood flow supplying sufficient nutrients to the cells and in the process enhancing mental and physical activity. Many diseases plague old age. 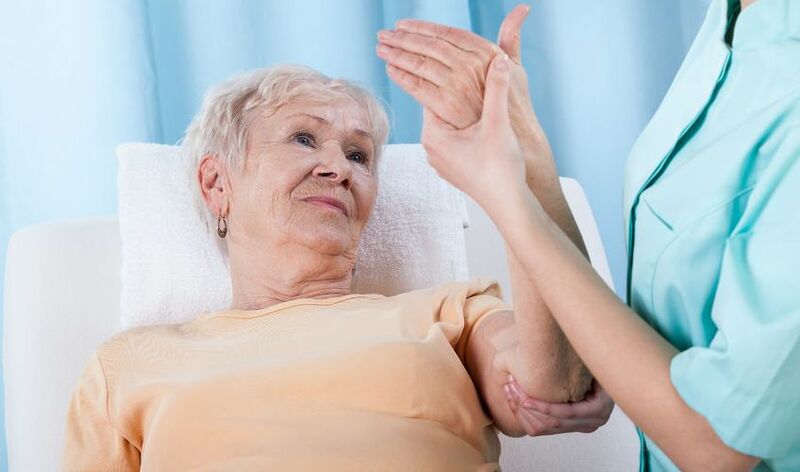 Rheumatoid arthritis, arthritis, and Carpal Tunnel Syndrome are common ailments affecting the elderly. StringyBall exercises are effective in preventing fast loss of mobility on the hands by stretching the hand muscles; the string on the ball also allows you to multi-task and do more compound exercises using 2 StringyBall's simultaneously, which is not possible with conventional stress balls. Active muscles and cells are also able to fight inflammation while the balls can control the progression of arthritis etc. Management of stiff arthritic hands by making fists with the squeeze balls increases the flexibility of the hands, giving patients better days. Occupied hands and mindful squeezing aids in directing attention to one thought or activity. Attention deficit is high in most elderly individuals, and the stress balls help in keeping stress at bay, making life more comfortable. It is being advised to keep patients with Alzheimer's busy and comfortable. Besides keeping constant reminders of images and items they love around the house, you may also consider buying a secured stress ball with a string that will enhance their senses. Stress balls also increase mobility when they fit well and when they are sized appropriately to the particular client. 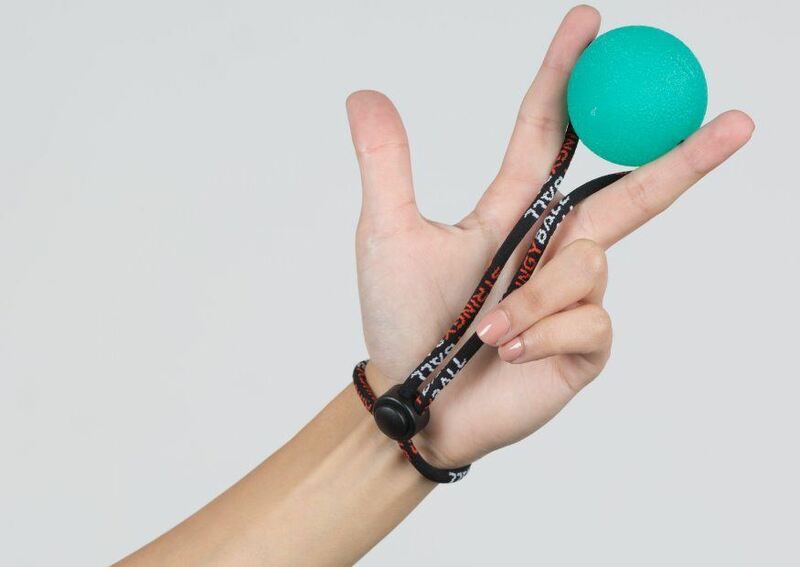 Using StringyBall which is tethered to the wrist or palm, makes the task of exercising less cumbersome, without the fear of the user dropping the squeeze ball. Even if you retire happily, you will still face stresses that will put you down. An effective way of boosting mood is by squeezing a stress ball. The squeezing is associated with feelings of happiness because of the release of endorphins and pain relieving neurochemicals. The wrist rolls strengthen wrist flexors, improving hand motion as well as finger and wrist strength. It is simple and involves bending your elbow with the palm facing up and then curling the wrist up. The elbow and the forearm should remain steady at this time for maximum benefits. To do this exercise, you should press your thumb against your fifth finger then hold for about five seconds. You should repeat this process with all the fingers pressed against the thumb. Wrap your fist around a stress ball and then squeeze as tightly as you possibly can. You will notice the benefits after a few sessions when you will have a tighter/stronger grip and better ability to open cans or twist doorknobs. This exercise involves picking a relatively heavy object, holding to it for a few seconds then putting it back down. The item selected can be as simple as a book or a gallon of water. This can be done at home anytime. Rubber bands are the best exercise equipment in this case. Put the rubber band on your fingers, and the thumb then stretches to strengthen the flexor muscles. In conclusion, the physical, emotional, and psychological health of the elderly is imperative. You have to keep the body active for good health. Besides strength, these exercises, especially Zumba, swimming or jogging reduce levels of obesity and weight issues. Arthritis, diabetes, Alzheimer's, high blood pressure and breathing problems are better managed when the body is active. An alternative to the generic stress ball is one with a string. The cord acts as a supplemental source of security and poses no risk of the ball rolling or falling away from the hand. Flexibility, strengthening, stretch and balance exercises are important for the elderly as they reduce stress levels enhancing mobility and productivity even at advanced ages. Older people who work out have been shown to have more energy and increased confidence levels.